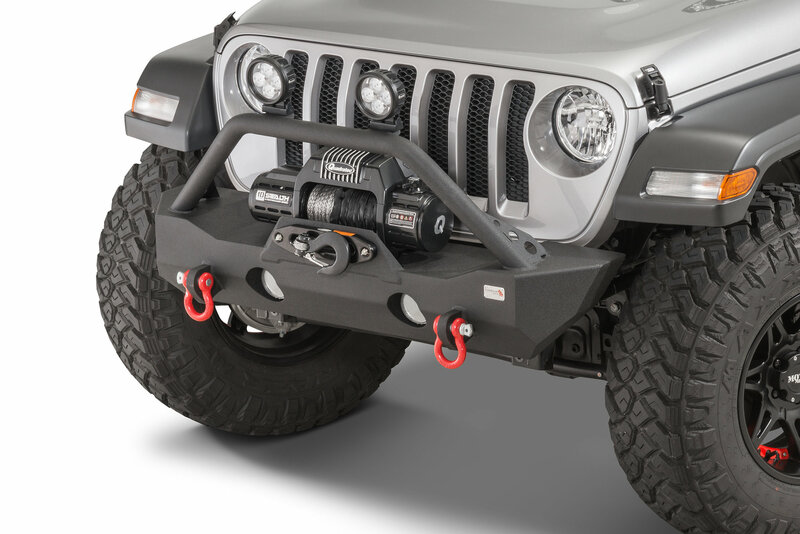 The Fishbone Offroad Mako Stubby Front Bumper is designed to be an off-road capable bumper with increased approach angles, heavy-duty recovery points, an integrated winch plate, and fog light mounts. 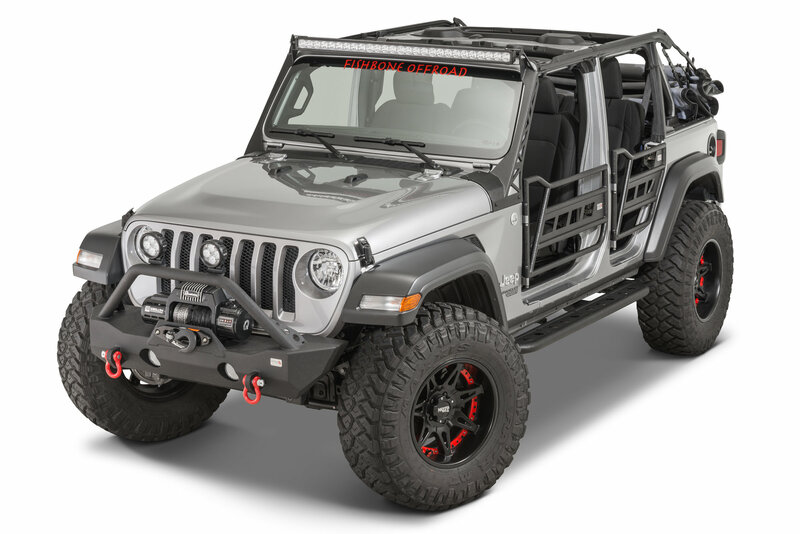 Fishbone engineered their Mako Stubby Front Bumper to accept both halogen and LED factory fog lights without cutting, drilling, or other modifications. The built-in hoop provides additional grille protection, and a mounting point for auxiliary lighting. Winch Mounting: The built-in winch plate provides a convenient mounting location for an off-road recovery winch. The plate features the standard 10” x 4.5” bolt pattern. Heavy-Duty Construction: The bumper is made from tough steel plate and finished in durable textured black powder coat. Light Mounting: The Mako Stubby Front Bumper is designed to accept factory Jeep Wrangler JL fog lights (both halogen and LED). For additional auxiliary lighting, Fishbone also welds two light mounting tabs to the grille guard bar. D-Rings Included: Fishbone includes two of their zinc coated 3/4" D-Rings with this bumper. The D-Rings feature a 7/8” pin and a 4.75 ton working load limit.